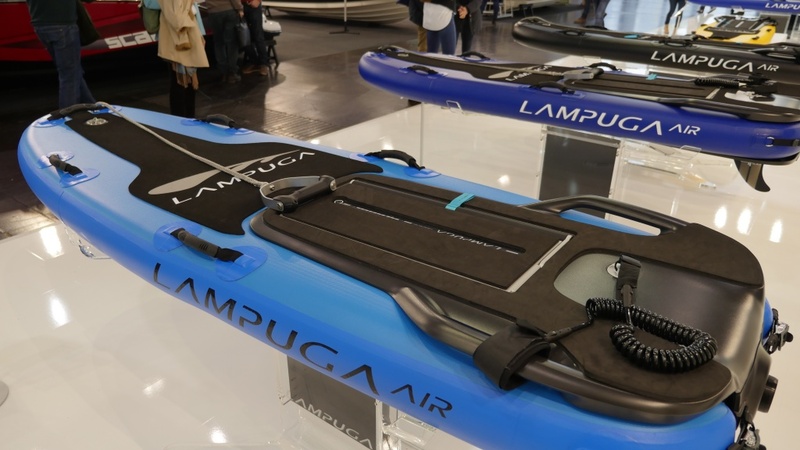 In January the new Lampuga company lead by Lampuga CEO Nicolai Weisenburger impressed with a huge booth at boot 2018 in Dusseldorf. The new Lampuga Air electric surfboard will be available in a few weeks for purchase, so we reached out to Nicolai for an interview to learn more about his project. 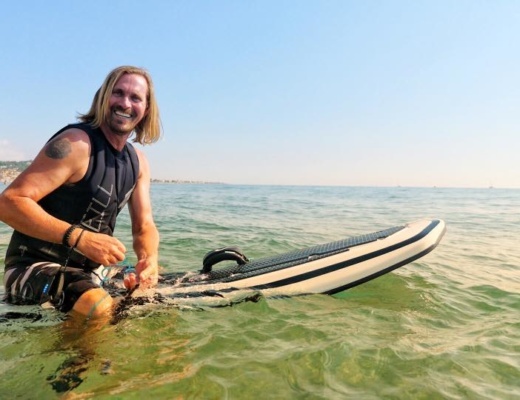 E-Surfer: How did you get into the business of electrically motorised surfboards? Nicolai: I was fascinated by the idea of an emission free drive combined with movement on the water, that’s why I invested in the project. E-Surfer: Was your intention to build a business or did you invest solely to secure dividends? 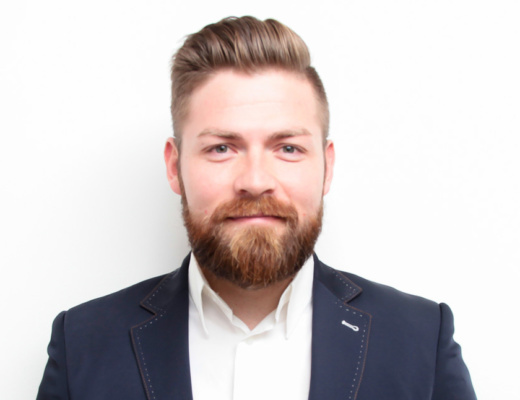 Nicolai: Besides my activities in the building and real estate industry, I always keep an eye on the recent trends and developments. When I came across the jetboards, it attract my attention. Initially, it was not my intension to start a business in this field. 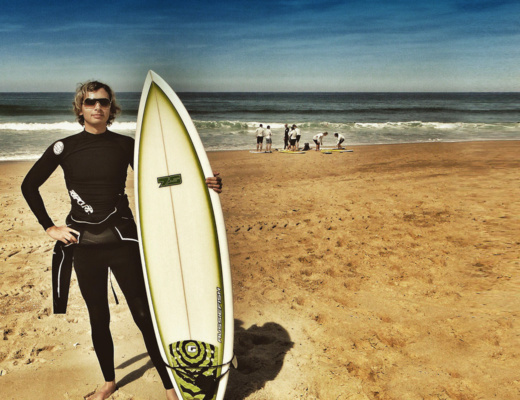 E-Surfer: When did you decide to start a business manufacturing electric surfboards? Nicolai: In the beginning I invested in the company, that at the time, manufactured the Lampuga boards. I considered the idea of electrically driven surfboards innovative and promising and I had great aspirations for the products. I first started my own business later when the manufacturer went bankrupt. 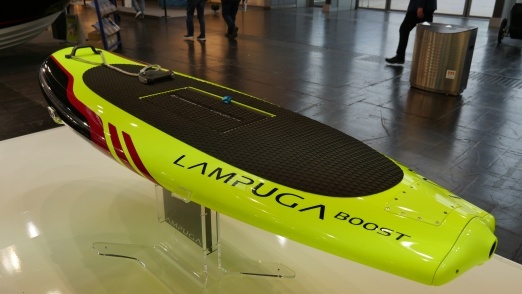 I acquired the Lampuga brand name and put together a team of developers, which has done a fantastic job in developing and improving the boards. 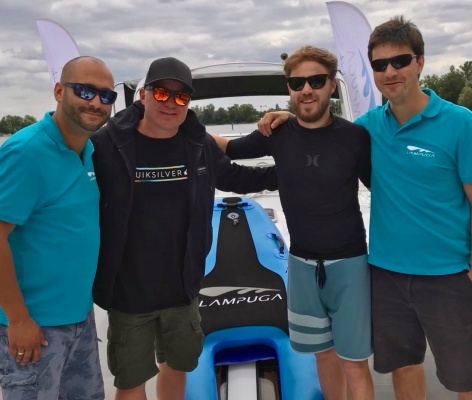 Lampuga CEO Nicolai Weisenburger: The biggest challenge is to figure out where we can ride our boards and where to obtain the necessary permission. This is probably one of the most difficult and time-consuming parts. To transport the lithium-ion battery on a plane is also a complex matter, different certifications are needed. 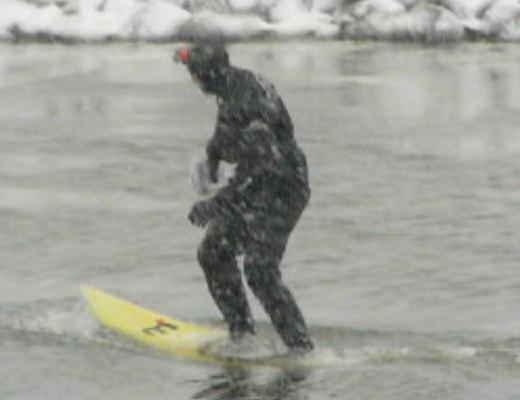 E-Surfer: What has been your biggest success so far? 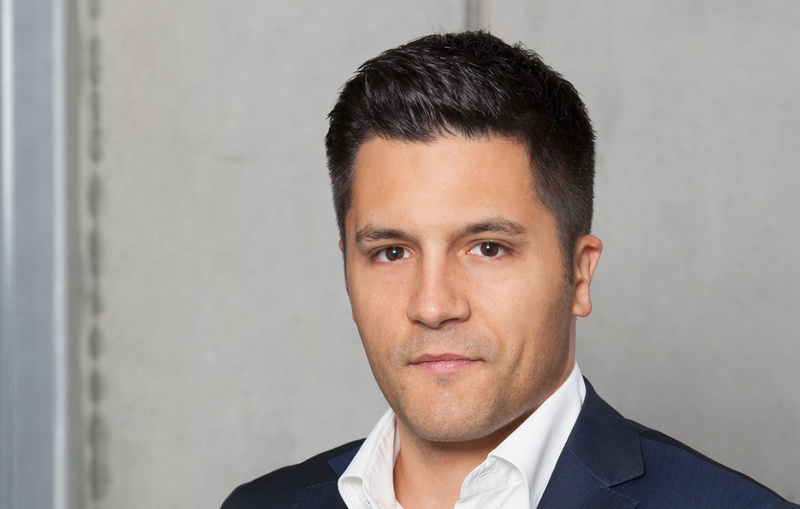 Lampuga CEO Nicolai Weisenburger: The greatest success up to this point was certainly the positive response to this year’s boot tradeshow in Düsseldorf. There were many enthusiastic visitors who expressed positive attitudes towards our products and eagerness to try the boards. 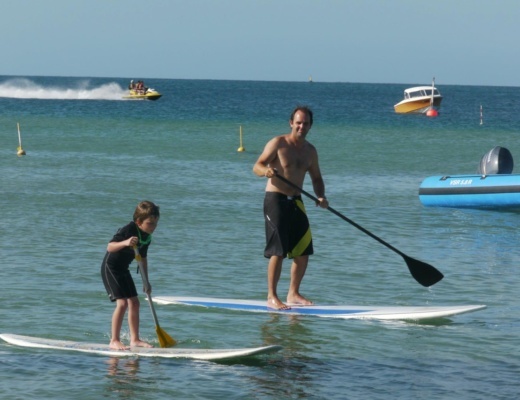 We are also achieving great success in the daily development of the boards, which is exciting. Nicolai: As often as I can. I try to take part at as many test drives as possible, but unfortunately it does not always work out. When I can make time for riding the boards it helps me to calm down. Nicolai: Currently we are building a new production hall. After completion, we can start mass-production of our boards. We are also working on expanding our dealer network in Europe and want to distribute the boards worldwide in the coming year. E-Surfer: Anything else you would like to share with the Lampuga fans? Nicolai: We are very excited about the good response and positive feedback so far and hope the boards will bring a lot of fun for everyone. Learn more about the Lampuga Air and Lampuga Boost.